The snow is mostly gone outside (but with this state, you never truly know), so that means it’s almost Spring time, and almost Spring time in Michigan means it’s time to rank the teams in Michigan based off of their rosters and prospective players going into their perspective seasons. Before we start, lets pour one out for two recently departed clubs, Ole SC out of Grand Rapids, and Michigan Stars FC, based in Berkley. Both clubs just couldn’t get the support, or the talent and honestly, it’s for the better. Both had one or two quality players in a roster of “meh”, and now that quality can hopefully find it’s way to a better team where they can be utilized better. There are three different national leagues that feature Michigan teams, and they are the The USL Premier Developmental League, The National Premier Soccer League, and The United Premier Soccer League. They will be listed in the worst to first order. So…a little history with this team for those who don’t know. They’ve been around for a while, started in 1997. They were fierce on the local circuit, one of the better teams in the state in terms of state clubs. But anytime they had to play against a team that was apart of a fully fledged league….either they got smacked, or they somehow forfeited due to not having enough players. Whether it was a friendly, or a USOC preliminary match, this club buckles under pressure from teams from organized leagues. Simply put, this team has a high potential to be trash. The only time they should be expected to be on top of their table is before the season starts. A club that as of recently was basically a Detroit City hub for players has grown into a scrappy collective group, led by forwards Dane Baird (Madonna) and Keaton Levock (who earned a call-in to the competitive Midwest Pro Combine). Carpathia overachieved something fierce last year, and I really think this is the year they fall back to Earth. Scrappy teams tend to make games fun to watch but save for RWB Adria, scrappy isnt something to build off of. Essentially, the Detroit City of Oakland County (whether anyone wants to admit it or not). A professionally run club that hit a very a supremely unlucky injury bug. They’ve pumped so much money into the club’s image…it’s gotta turnover eventually, right? The “Italian National Team” from Michigan’s Consulate’s Cup should eventually start to produce as much on the field as they are off of it. With a season that doesn’t get throttled by injuries, The Purps of OCFC should bounce back. Kalamazoo boasted one of the surprise goal scorers in the Midwest with Jay McIntosh, which was something considering how little help they surrounded him with. The year before they had the electric Brandon Bye (McIntosh’s college teammate) who went on the play with MPLS City before being drafted 8th over by the New England Revs. This year KZoo looks to improve on where they lack in the middle with a pair of Brazilian midfielers with pro backgrounds:Vinicius “Vini” Schwindt and Lucas Malaguez. Playing for AA FIB Bauru and Veranopolis before joining up at Grand View University in Des Moines, Iowa, Vini and Lucas look to feed revamped offense for Kalamazoo. Lawan Abary (of Niger) will be a nice 6’4 target in front of the net for KZoo. 26 goals in 26 games at Western Nebraska CC started is a very good ratio no matter the competition. He will be joined up top by France’s own Paul Liagre. 25 goals and 10 assists for Northeastern JC (based in Sterling, Colorado). Joined by returning player Cameron Sipple, The Fleet look to fly into the top half of the of the NPSL Midwest’s table. “The Club of the Independents” as they once called themselves retooled their roster, narrowly missing out on a playoff spot in their only year as a Premier League of America squad, with a 5-3-2 record. Throw in their 3-2-3 record as an MASL2 team, and you could say that their first year as a league member paid off well. 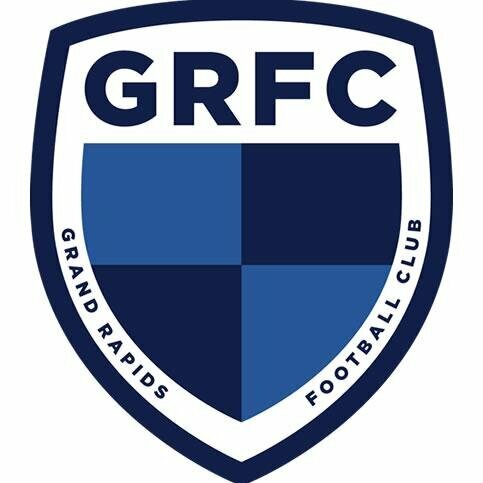 They’ve been added into the UPSL like the rest of the PLA (save for Ole because…..c’mon, lol), and they’ve secured a roster that’s atleast 1/3 from the older Grand Rapids FC team. They plan to stay the course, which is to build from the back. And with 5’4 Dynamo Job Potter weaving in the middle, the Risers look to build off success and vault into the UPSL playoffs. Lansing will most definitely be worse than last season, purely because they will be losing one of the best players on a Michigan team in Rafa Mentzingen to shoddy tactics, no fault of any team. Simply put, this team will go as far as Farai Mutatu carries them. The starlet was electrifying in a small amount of time in the end of Lansing’s season last year, and with a commitment to Michigan State, he’s shown that he has the capacity to be an electric player. This next sentence will make 0 sense at first, but it will be explained. Lansing will need Farai Mutatu to become the next Midwestern star….but also they will need Storm Stevenson as far away from the opposing net as possible. Amazing player, probably a nice guy….but about as accurate as using a shotgun to shoot a single grape. Lansing solidified their backline adding a multitude of defenders from Western Michigan University (Kosti Moni, Alex Ruddock) and Michigan State (Michael Wetungu), top college teams that finished in the top 10 in the NCAA, which should help in the goal happy PDL Midwest division. The Blues of Grand Rapids FC boast one of the tallest front lines in the entire league with the Human Towers known as Scott Doney and Joe Broekhuizen. While Broekhuizen plays more like a human battering ram, Doney is a skilled forward who earned an invite to uber competitive Midwest Pro Combine. Their attack will also be boosted by the arrival of former LanU player Morris Kamara, who is coming off of a 17 goal season at Spring Arbor University. The middle is littered with Western Michigan University Players which will be good as it will allow The Blues to build quick chemistry. Aside from the returning goal poachers of Anthony Bowie and Jalen Rodriguez, the most intriguing prospect they’ve brought in is Irish player Daire O’Riordan, who competed for the youth team of Cork City of the SSE Airtricity League. Competing currently at Davenport University, “Dazzer” will look to add some supporting play in the middle to a team flushed with forwards. 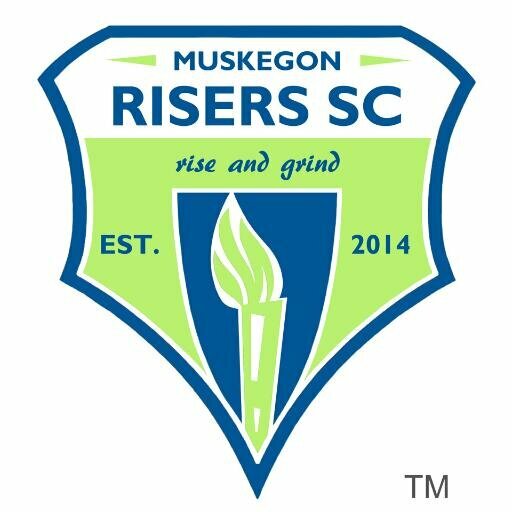 Bolstered by captain Tony Deakin, the ever energetic hometown kid Noble Sullivan and rabble rousing keeper Noah Fazekes, Grand Rapids will look to put the disastrous 2017 season behind them and spring board into the future Barone-less (which while it is a big minus in terms of numbers, it’s a real addition in terms of team attitude). 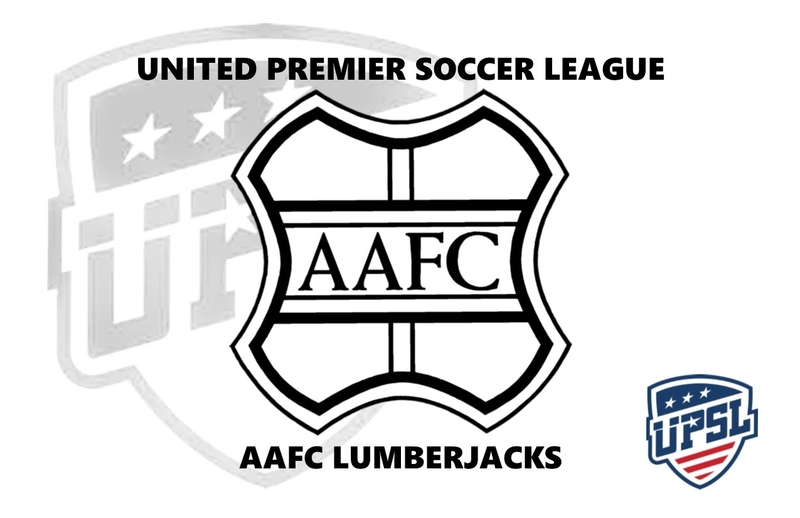 As mentioned in an article earlier, AFC Ann Arbor will feature a new look, after missing their talisman Dario Suarez. However, they will have a few familiar faces as Yuri Farkas and Hector Morales look to return and bolster the attack. AFC will be bolstered by Kyle Breitmeyer as well (Who is capable of pulling off goals like this), and with a reliable goal stopper like TJ Tomasso, anything is possible. Recently, AFCAA added another African U23 National Team member with Kenya’s Chrispinus Onyango, who most recently scored a goal against Uzbekistan. They also sured up their interior with Sergio Campbell former of the Rochester Rhinos. The Jamaican National Team Member looks to fill in a backline with Joseph Okumu (Kenya U23 National Team) and Jack “The Taxi Man” Cawley (Heybridge Swifts). J.P. Rylah (who is in Football Manager) returns to the team as well to pace the AFCAA attack, joining future college teammates forward Lewis Knight and midfielder Carlos Diaz-Salcedo, both of Marshall University. AFCAA also managed to snag Jordan Montoya, who has become kind of a soccer wunderkind of Ontario (who also played at the magnificent Midwest Pro Combine). After stops at the Toronto FC Academy, and then League1 Ontario (North Mississauga SC, and Masters FC), the 19 year old Jamaican U17 starlet will lineup on the wings for The Mighty Oak wearing the #6 kit. While AFCAA did end up tying with Saginaw Valley University in their first friendly of the season 2-2, the score was 2-0 before Ann Arbor started putting in more of their trial players. While that’s not an excuse to drop points, it makes a point to show the quality in their roster they possess before their new college recruits show up. Detroit City FC became Galactis this summer. Any team that had an all league player in their division, they absorbed them. Lansing’s talisman Rafa Mentzingan became one of their biggest signings. Another was AFC Ann Arbor’s Jimmy Fiscus who will be a major addition in their defensive middle. Wilfried Williams from Oakland University, who was a training camp injury away from being on the Sporting Kansas City roster, is a massive pick up on the defensive wing who can offer some support going forward, which plays right into Detroit’s gameplan. Another former professional pickup is former City/Erie Admiral/Commodores Danny Deakin who returns to Le Rouge after a pitstop in the USL with Orlando City 2. The addition of Deakin and Mentzigan gives Detroit City FC one of the most formidable midfield combinations with the return of the French Control Tower Louis Dargent, and Cyrus “Tekkers” Saydee. Throw in new defender (from Lansing United) Brad Centala, and the accurate passing of new recruit Brandon Bartel (UPenn), and City looks ready to retain it’s Midwest Champion title. Tyler Moorman (also of the illustrious Midwest Pro Combine) is a solid pick up top, as are Shawn Claude Lawson and Roddy Green, but it will definitely be interesting to see if City can create the magical run of last year without the services of Tyrone Mondi. In their first friendly of the season, Detroit City FC went into the largest stadium in the NPSL and beat Chattanooga FC 2-1. Goals from Roddy Green and Shawn Claude Lawson, (that included putting someone on skates) paced City before a shoddy penalty was converted into the 92nd minute gave Nooga a foot to stand on heading into the second leg of the “Loudest Alive” friendly circuit between the two fiercely supported teams. A lot of people will not like this pick, and that’s totally fine. While a journalist’s job is to inform the reader with words, it’s also a journalist’s job to give facts. A big fact is: The Michigan Bucks always reload with talent. The Michigan Bucks always finish top 2 in their division (save for two years). 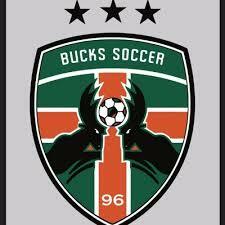 The Michigan Bucks always dominate their opponents. So while AFC Ann Arbor has made major retools to their team in a positive way, and while Detroit City FC finally has some serious hardware to tote around….in the grand scheme of things, thats fleeting. A down year from either of those rosters will make some people surprised but not everyone. The Bucks not finishing in the top 3/not making the playoffs will send shockwaves across the league, new head coach Paul Thomas, old head coach/new technical director Demir Muftari, and Gary Parsons all know what they are doing when it comes to assembling talent, to doubt them is foolish beyond belief. The little bit I know about the roster, I’m not at liberty to say, but I can say you will see a few names that you’ve seen on a screen before. The Michigan Bucks again are the preseason best team in Michigan, and you can debate your grandmother with the MC Hammer pants if you disagree.